If you’re a start-up business looking for the most effective and efficient way to market your products, then you have come to the right place. 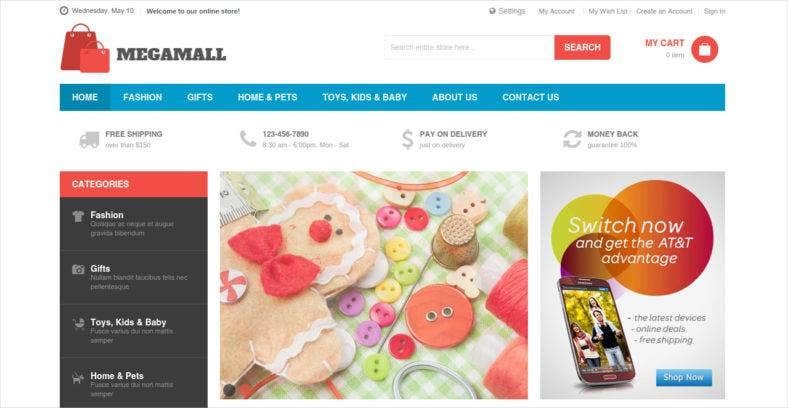 On this page, we provide you with e-commerce themes and templates that will surely leverage your business among competitors and even other types of commercial services. Having a working website is the best way to introduce your products and reach out potential customers. And that is especially true when you use websites powered with the Magento framework. Magento is a proven best web application framework perfect for the kind of website you’re looking for. Enlink is a single page website theme that lets you highlight your products with its clean and professional look. It features high flexibility and customizability to let you personalize your web pages with great color combinations and layouts. It’s fully responsive with a fluid product grid perfect for online stores selling specialized items. A product store Magento template that exhibits charisma and power with its dark theme characterized by a red and black color scheme. Featuring slider images with transparent text block, SecureX has a great way to showcase your security products or auto parts. It has such a reliable image that it can also be used for corporate websites. Glasses highlights high-resolution images which make this template a rather fashionable theme. With that, it can be used as a showroom for fashion items like glasses and accessories or for interior development items such as furniture and home decors. 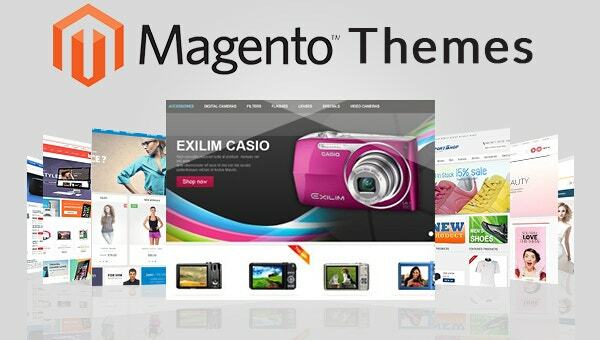 This Magento product theme is also responsive with multi-column design templates and Mega menu style. With a bright yet clean layout, this Magento theme is the perfect solution for online drug stores and other health products shop. The orange color scheme symbolizes an all-natural, organic and healthy lifestyle, therefore, it is easy to convince customers to use your products. It also features a three-column structure to display your items so customers can browse easily. 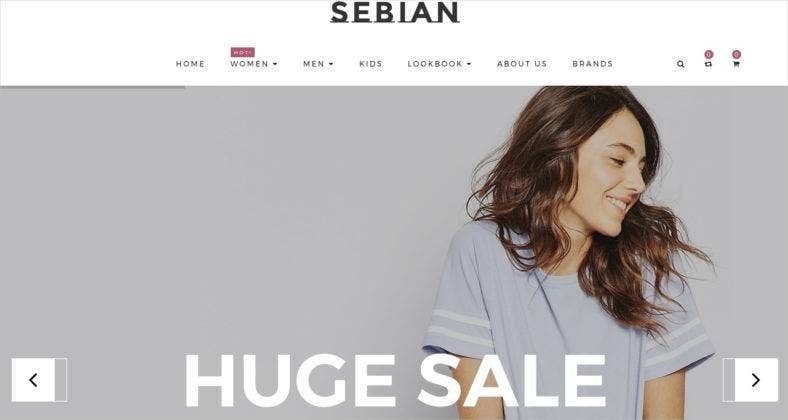 Sebian is a multipurpose Magento theme with great features such as a pixel perfect flat design, dynamic mega menu, full responsiveness and much more. It also boasts of perfect functionality with unlimited color choices which you can change with every design element. Sebian is made to bring life to all types of e-commerce websites, such as furniture, cosmetics, etc. This is a premium Magento theme used especially for large range product displays like fashion, digital products, and jewelry. This template has a theme customization panel with a user-friendly interface so you can personalize your website with ease. With flexible listing blocks and a grid page for the homepage, this template will surely rock your website in no time. 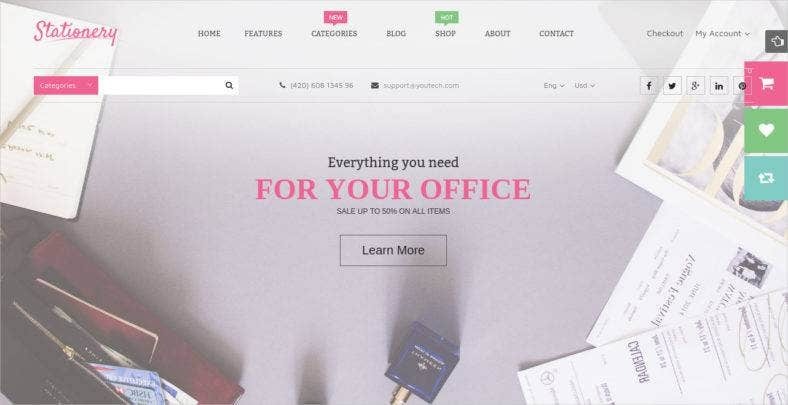 With the use of beautiful pastel color themes and gorgeous fonts, this template has just the right amount of elements to build an online store for stationery and office supplies. Integrated with necessary Magento extensions, it comes with five homepage layouts that you can choose to suit your needs with static blocks to provide readers useful information about your store. 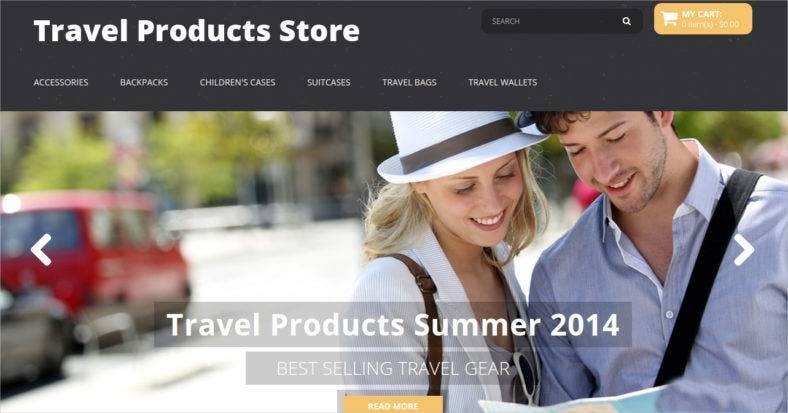 The template above is a Magento powered theme that generates a bright and fresh atmosphere which is great to use for travel products and other outdoor sites. 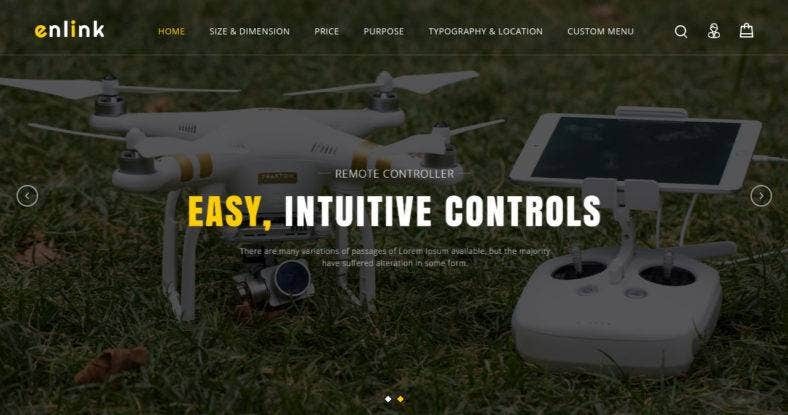 With a perfect header slider and a four-column grid to showcase products, appearing in high-resolution images so details are clear and will surely catch your audience’s attention. Ending this list, we assure you that these templates are carefully handpicked to give your online shop the perfect image and functionality that it needs. These Magento themes are fully optimized to work with different types of e-commerce stores and are highly customizable to sell various kinds of products. So, it is up to you which one you prefer but make sure to pick one of these templates so you can build a unique and a successful online product store.